something tells me that this guy failed the class. The Kung foo gland thinks he passed, out of teacher’s fear of epic lulz. 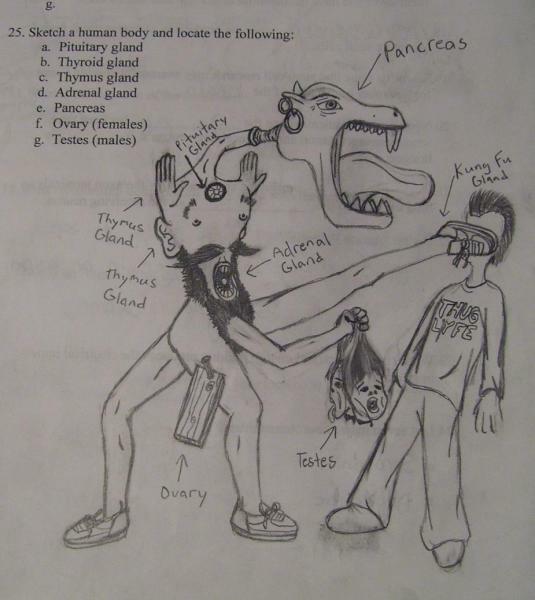 nice work on the testes too… looks JUST like mine, all screaming and severed-heads-like.